The Riviera Nayarit is so diverse it can host everything from sports events to conferences, festivals and conventions. Along with the promotions offered by the destination, occupancy has continuously hovered around 80 percent. The Riviera Nayarit Convention and Visitors Bureau has organized and sponsored a variety of events throughout the year, events that have resulted in a rise in occupancy and income for the destination. Holy Week and Easter have usually brought in the greatest number of tourists. This year, occupancy reached to 82% from April 12 – 17, with the highest numbers occurring during the Holy Days, April 17-20 at 90%. The Oyster Festival at Bucerías had over one thousand attendees, and was the icing on the cake to close out the Easter week festivities, when occupancy reached 82%. 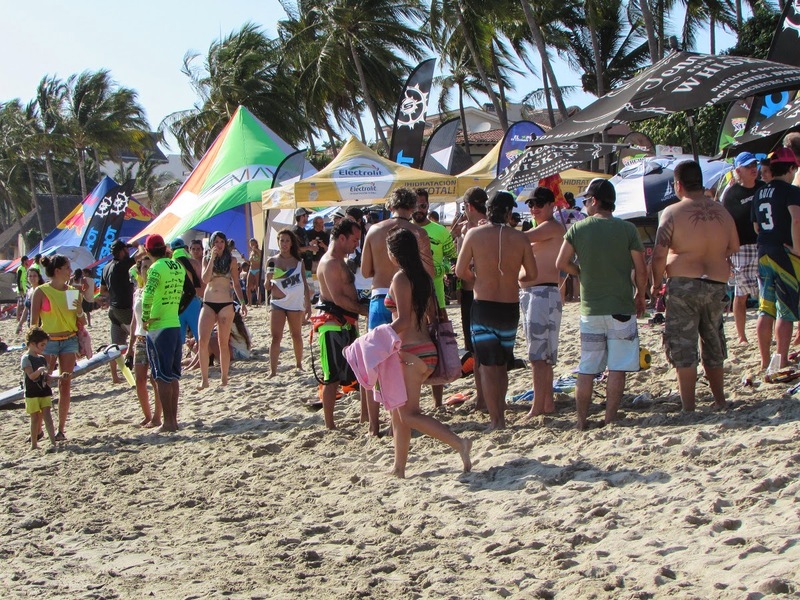 The International Beach Polo Tournament that took place during the May 4th long holiday (domestic) brought in an 87% occupancy rate for the Banderas Bay area during that weekend. The Salsa Mambo Fest followed soon after on May 8-11, which took place during Mother’s Day. During this time period Nuevo Vallarta received approximately two thousand visitors and an income for the region of approximately $3 million Mexican pesos just for this event. The nonstop fun continued the following weekend, May 16-18, at Banderas Bay, which increased its occupancy rate to 85% during those days. This increase was attributed to the Cruz de Huanacaxtle Open Water Tournament and the Bucerías Wind Festival, which together brought in some four thousand visitors. That same weekend, Compostela came into its own with the Guayafest, which welcomed over 400 exhibition vehicles and over three thousand visitors, filling the hotels in Guayabitos to capacity with 100% occupancy. On average, the first two weeks in May showed a 79% occupancy rate for Banderas Bay and Compostela. The events continue, as Restaurant Week has already started, the Mountain Bike Race is about to start in Higuera Blanca and the San Blas International Sport Fishing Tournament is on its way. Speaking of, in 2013 the fishing tournament raised the port’s occupancy from 50% on the first day of the activities to 79% by the last day. The Grupo Aeroportuario del Pacífico (Pacific Region Airport Group) indicated the Vallarta-Nayarit International Airport received 6.3% more travelers during the first four months of 2014 than the same period last year. And when comparing the month of April to 2013, this year showed a 20.3% increase in domestic passengers, which were mainly attracted by the Spring Promotions launched by the Riviera Nayarit in this time period and are good through June 8th.